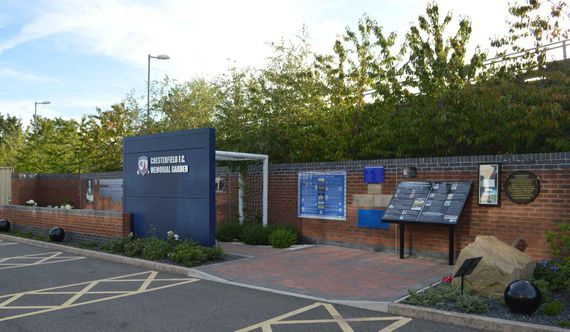 The Chesterfield FC Memorial Garden can be found to the rear of the Proact Stadium's east stand. 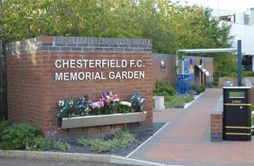 Conceived by the Supporters Club in 2014 and driven to completion by the energy of long-standing supporter Phil Tooley, the Memorial Garden was laid out as a public space to commemorate those associated with Chesterfield FC who are no longer with us, be they players, officials or supporters. The Garden also remembers the Spireites' former home at Saltergate and is a focus for the Club’s history. The Memorial to the Fallen, as the southern end of the garden, is a registered War Memorial and is one of very few such memorials to be located at football grounds. This has become a focus for specific acts of remembrance and recognition of those from the club and the area who gave their lives in times of conflict. We were delighted to assist with the compilation of this record of every player to have appeared for Chesterfield and Chesterfield Town in the Football League who has since passed away. 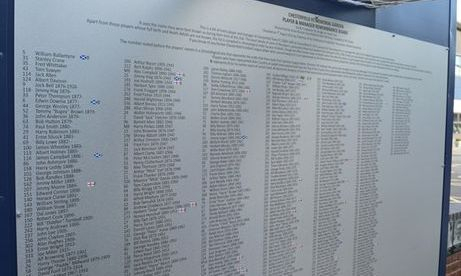 To its right, another set of panels remember departed club legends who made 250 or more appearances. Despite being installed between a football ground and a superstore, the garden is quite a haven for quiet contemplation and is open all the time. It is becoming increasing popular among supporters as a place to have your loved one's ashes interred. It relies on relevant acts of fund raising and voluntary donations to sustain a programme of maintenance and development. 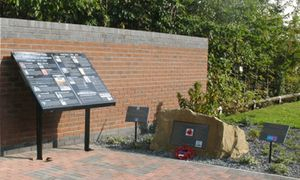 More information about the garden and what it can offer for remembrance can be found at the Community Trust website, here. A short service is usually held on the evening of the Friday before the first home match of every season to commemorate those we have lost during the previous year. Everyone is welcome to attend - please see the trust and club websites for more information.